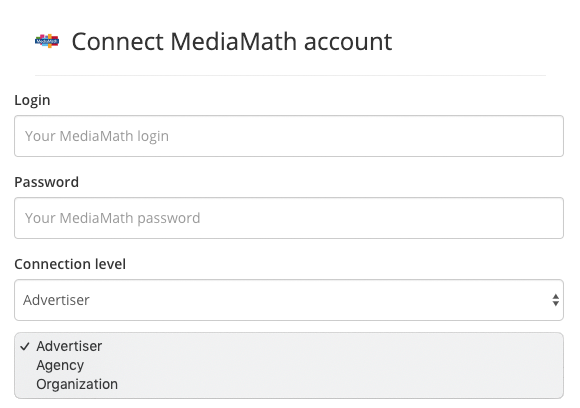 We've recently updated our MediaMath connector in Funnel! 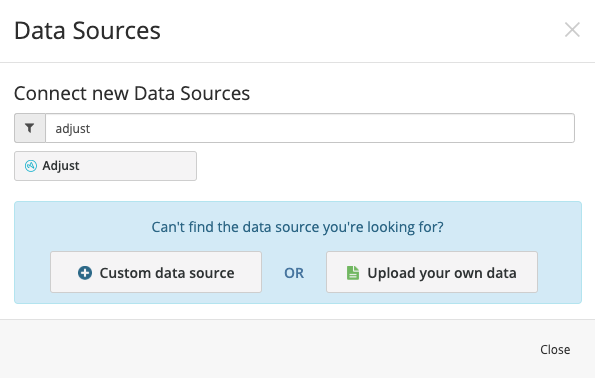 When connecting a new account, you'll have the option to select two additional breakdowns; Agency & Organization. 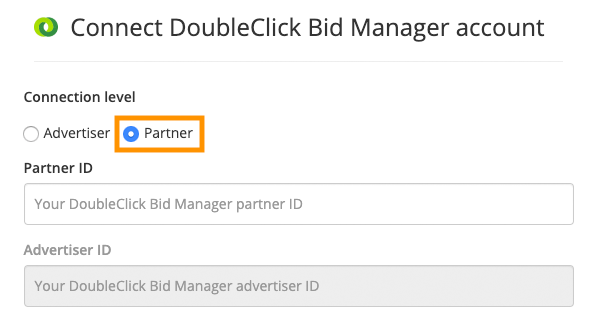 We've recently made some changes to our DoubleClick Bid Manager (Display & Video 360) connector in Funnel. When connecting a new source, you now the option to connect at the 'Partner' level, which includes data from all advertisers under a specific partner. We've just updated our Google Hotel Ads connector in Funnel! When connecting a new account you'll have the option to select the Audience report. We've just released a new Adjust connector in Funnel! 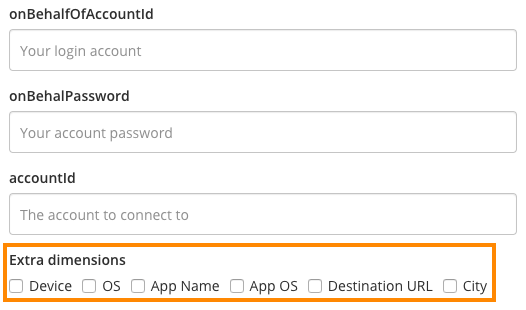 If you're using Adjust to track your mobile performance, you can now connect your account and attribute it to your advertising data. We've just updated our Google Analytics connector in Funnel. When connecting a new account you now have the option to select the Sales Performance report. 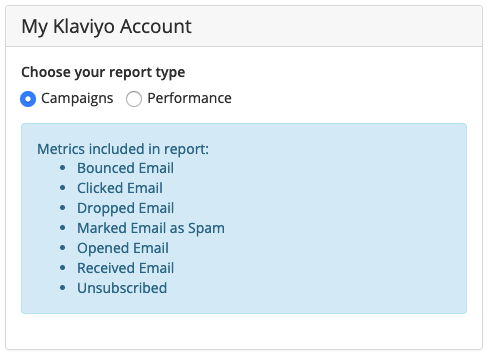 We've just updated our Klaviyo connector in Funnel. 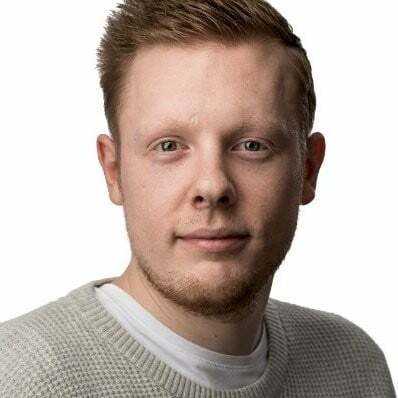 This new connector will pull in data from Flow emails as well as Campaign emails that were supported previously. 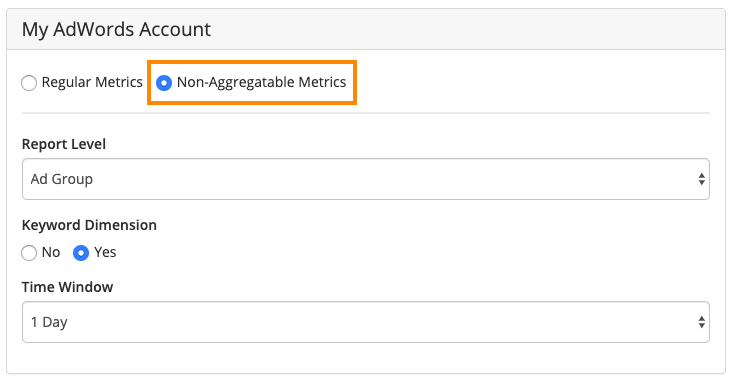 We now support non-aggregatable metrics from AdWords (Google Ads). This means that you'll now be able to analyse and report on metrics such as Search Impression Share in Funnel! We've just added some additional dimensions and metrics to Yahoo Japan YDN in Funnel. You'll now be able to report on an Ad and Ad group level in Funnel. We've recently made some changes to our Facebook Ads connector in Funnel. 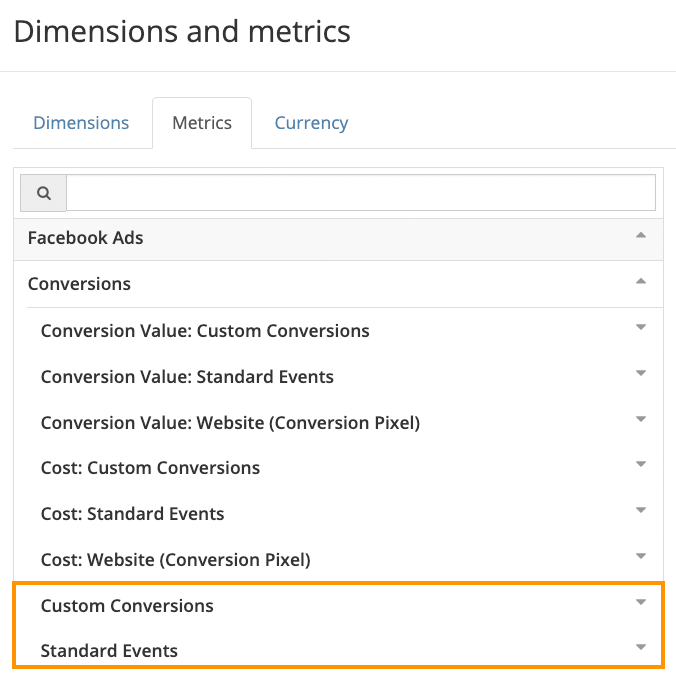 You can now access some additional fields and locate your conversion metrics easier. We now support some additional dimensions from Vungle in Funnel! You will now be able to report at the Site and Creative level in Funnel.